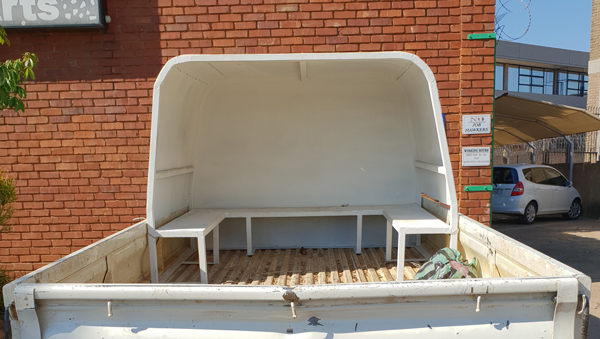 We manufacture half canopies for bakkies where staff sit on the back in summer and in winter. These canopies protect from rain and cold and come with built-in seating for a minimum of 7 people. Our canopies also provide support for steel and pipes which are typically loaded on these types of vehicles. We manufacture a separate, removable bracket (sold separately) which can be fitted before loading pipes or steel rods.